Edward Naab, age 81, of Graceville, died September 2, 2018, at Grace Home in Graceville, MN. Funeral services will be held on Wednesday, September 5, 2018, at 2pm at Grace Home in Graceville. Visitation will be held one hour prior to services on Wednesday. Pastor Lynn Thomas will officiate and interment will be in Graceville Consolidated Cemetery. 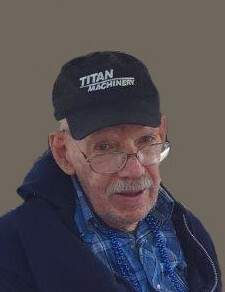 Edward Fred Naab was born on January 3, 1937, in Graceville, MN, to Fred and Loretta (Stockmeier) Naab. He was baptized at the Church of Saint Mary on March 21, 1937. Edward attended rural school until eighth grade. Edward grew up on the family farm, and in 1980, he moved to Graceville where he resided with his father and sister, Shirley. He was a member of the United Church of Christ in Graceville. Edward loved working on the farm and was very helpful to other people, especially the Baxter family, who were like family to him. Edward is survived by cousins: Linda (Alan) Anderson of Mora, MN, Ron (Diane) Ritter of Morris, MN, and Vicki Schmitz of Graceville, MN. Preceding him in death are his parents and sister, Shirley Naab.